Sticky fingers, sticky faces, and smiles at breakfast can only mean one thing- a hot breakfast plate with syrup is served! Have you ever seen the movie “Elf?” My boys and Buddy have one thing in common. They both can drink syrup from the bottle! 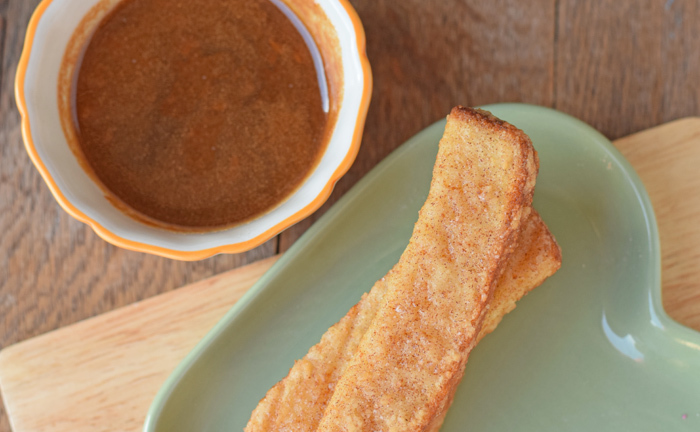 Maple syrup and french toast sticks go hand in hand, don’t they? The delicious combination of flavors is a breakfast classic. Use caramel bits to add a different flavor dimension. 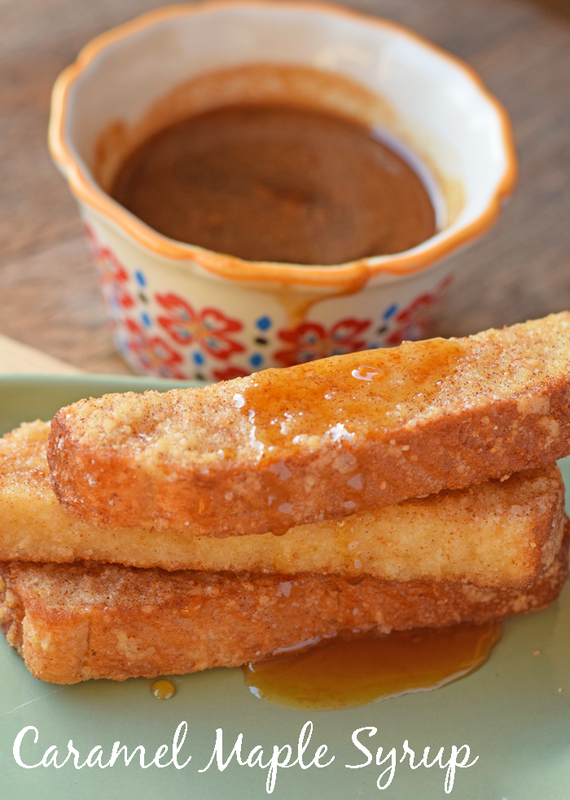 My kids love caramel, so for a treat I’ll whip up this tasty Caramel Maple Syrup. I think Buddy the Elf would approve! Mornings are hectic. No argument there, right? I’ve always prided myself in cooking my boys a “hot” breakfast, but there are some busy mornings where I just wish they would eat something quick! If you’re looking to simplify your morning routine but still serve hot and fresh food in the kitchen, Farm Rich Bakery are tasty and always on hand, right in your freezer. 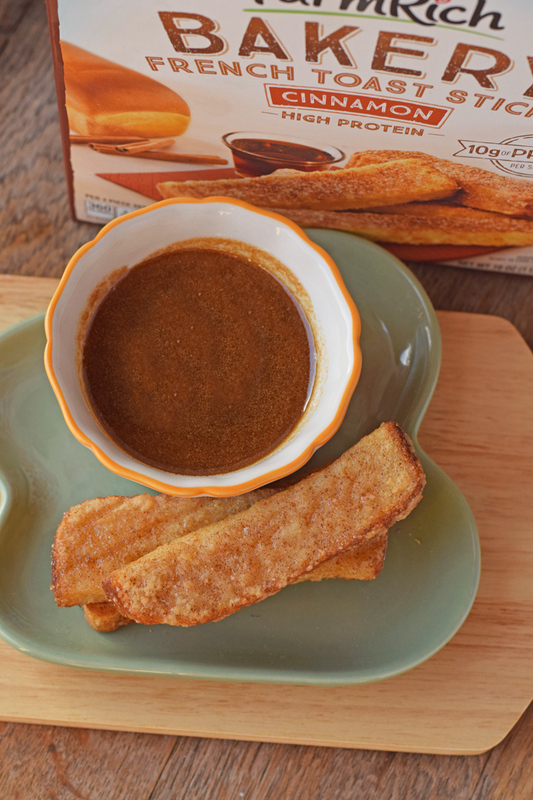 For these Farm Rich Bakery Premium French Toast Sticks, this Caramel Maple Syrup adds a homemade touch. Add all the ingredients to a small cooking pot. Heat on how, stirring constantly, until the caramel baking bits have melted and are completely incorporated into the syrup. 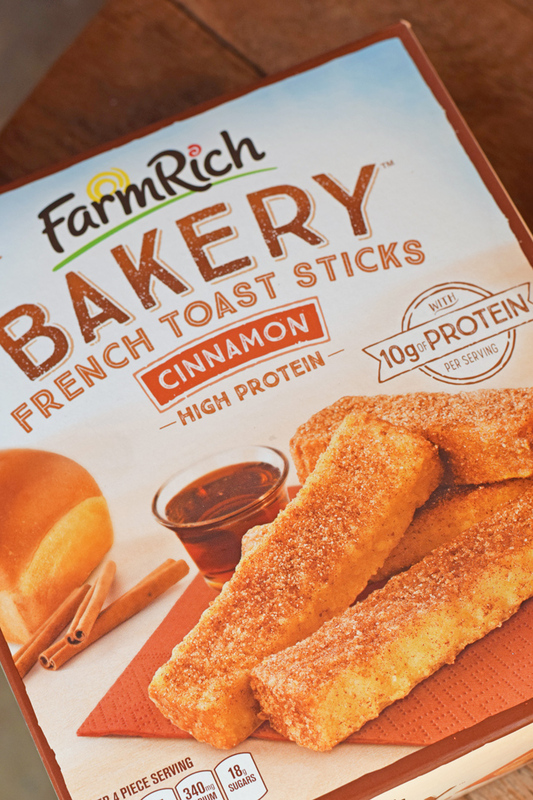 You may recognize Farm Rich as one of the nation’s leading brands for frozen snacks and appetizers, but the new Farm Rich Bakery line offers baked breakfast and snack items. These items are available nationwide in select grocery stores. Find items such as Donut Holes, Scones, Sausage, Egg, and Cheese Pull Aparts, and Premium French Toast Sticks. 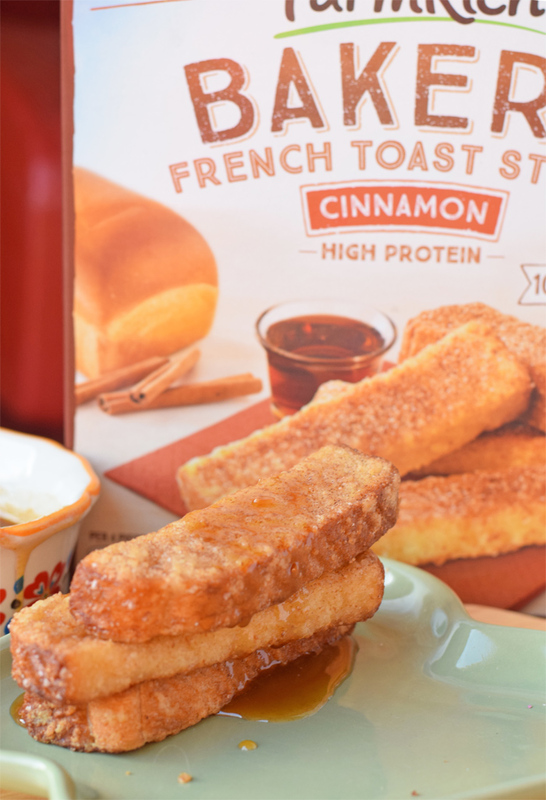 The Premium French Toast Sticks are definitely cinnamon packed, providing a delicious flavor that is perfect for the holiday season. Sign up for the Farm Rich Loyalty Club to receive exclusive offers, news, quick recipes, snacking ideas and more! Grab a Farm Rich Bakery coupon here. 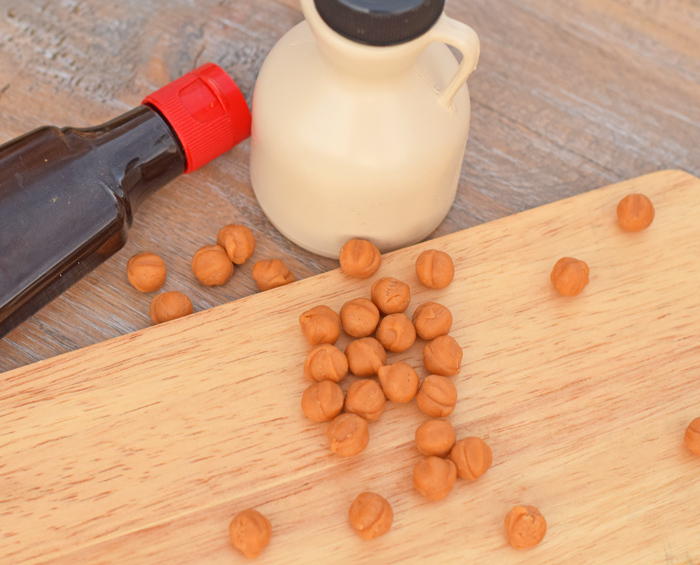 I made some honey caramel today, but I have a serious weakness for maple syrup and would devour this!